Cannibalism: It's 'Perfectly Natural,' A New Scientific History Argues : The Salt It's gruesome, but from a scientific standpoint, there's a predictable calculus for when humans and animals go cannibal, a new book says. And who knew European aristocrats ate body parts as medicine? An illustration from 1875 depicts the survivors of the frigate Cospatrick, which caught fire off South Africa's Cape of Good Hope in November 1874. Of more than 470 people on board, just three ultimately survived, and they were reduced to cannibalism. There are very few scenarios where I could see myself considering the flesh of a fellow human being as food, and the ultimatum "eat today or die tomorrow" comes up in all of them. Most people are probably with me on this. 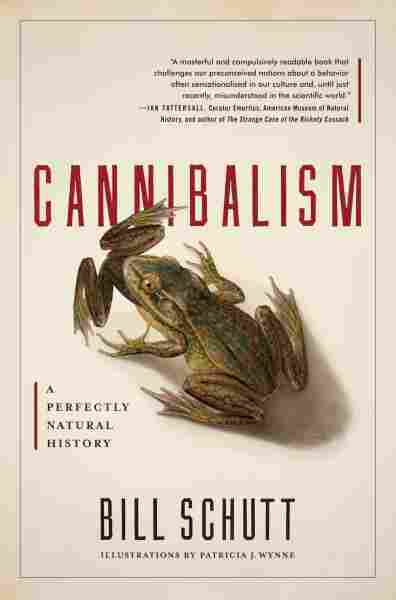 But Bill Schutt's newest book, Cannibalism: A Perfectly Natural History, reveals that from a scientific perspective, there's a predictable calculus for when humans and animals go cannibal. And far more humans — and animals — have dipped into the world of cannibalism than you might have imagined. Schutt, a vertebrate zoologist at LIU Post and the American Museum of Natural History, dives into cannibalism's history, its place in the kingdom Animalia and the source of its taboo. The book encompasses a range of stories far wider than the usual canon of gruesome reports. He makes no secret of his distaste for these over-sensationalized accounts, not because of the gore but because there's just so much more to cannibalism. Instead, he opts for a keenly scientific approach. "I'm taking things that seem grotesque and misunderstood and horrify people and putting it through the eyes of zoologist," he says. And what does a zoologist see, exactly? He sees the perfect, natural sense of cannibalism, the evolutionary biology of eating one's own kind and, oddly, the wonder of it all. Macabre summaries of men eating men are present, too, but by far the most interesting section on human cannibalism in the book is Schutt's description of the long history of European aristocrats eating human parts as medicine. "Upper-class types and even members of the British Royalty 'applied, drink or wore' concoctions prepared from human body parts, and they continued to do so until the end of the 18th century," Schutt writes in the book. I hadn't heard of the medicinal cannibalism you described in Europe, starting with the Ancient Greek physician Galen of Pergamon and continuing to the 20th century. That was one thing that really surprised me. Yeah, especially given the Western taboo around cannibalism, which has been around since the time of the Greeks, to find out that for hundreds of years, for many countries in Europe, pretty much every body part you can think of was used to cure something or the other. That was a complete shock. I don't even know where some of these [purported cures] came from. That blood was going to cure epilepsy or how human fat could cure skin diseases? The most interesting one to me was mummies, and I think that was a mistranslation. To the Arabs ... the word mumia meant this stuff they used to bind wounds and prep mummies. In the translations, the Europeans thought they meant real mummies had medicinal values, so they started grinding [mummies] up. 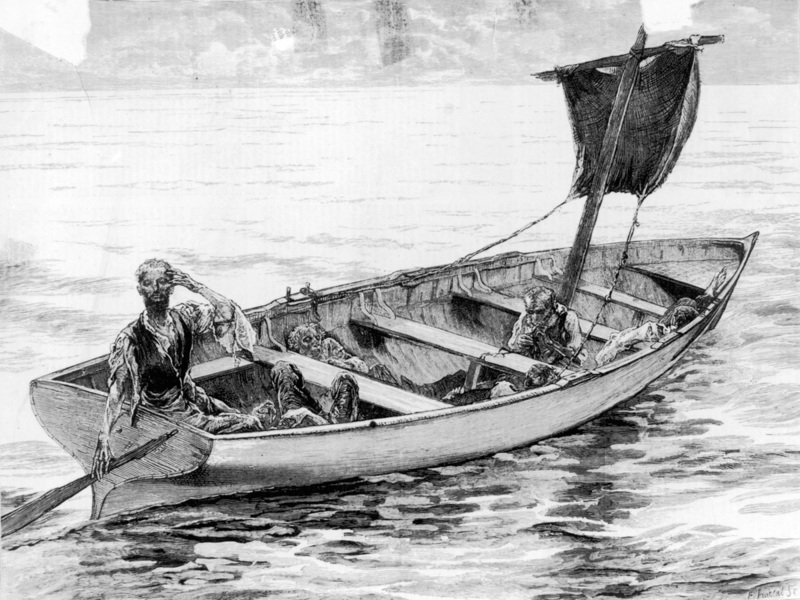 How did you get to seeing cannibalism as something that was really, very natural? Cannibalism as a behavior has various functions – from parental care to a reproductive strategy to foraging. If you look at insects, snails, crustaceans, fish, toads, salamanders, there's plenty of cannibalism. When you're talking about cob fish and the million eggs they lay, they're not looking at [their eggs] like juniors. They're like a handful of raisins. It's just food. My favorite is these legless amphibians, or caecilians. The mother provides her skin to the young hatchlings, and they peel her skin like a grape. That to me was wild and amazing, and I'd never heard of it. When you get to mammals, it's rarer because you're dealing with less offspring and [more] parental care. The cannibalism you do see sometimes takes place because of environmental stresses. Seems like the decision to cannibalize is a pretty simple calculus. You do it when the need for food outweighs the risk of getting a disease. Yup. Though when you're starving, I don't know if you're thinking, 'This person might have a disease I could catch.' No, you're just at the end of your rope, and you're going to die. It's natural behavior. Scientists have looked at starvation. At a certain point, one of the predictable behaviors that you'll see is cannibalism. It could start with dead bodies and then get to the extreme where you kill somebody and eat them. Then there's the case where some people will just not eat dead bodies and starve to death. There's plenty of mammals and animals that don't practice the kind of parental care, or sexual cannibalism or that lifeboat strategy. But if you stress any creature out enough, I think the odds are that they'll eat their own kind. In the book, you describe getting invited over for dinner by one of your sources to eat her placenta. How was that? Was it good? Yeah, it was really the prep that made it taste good. Granted, the [husband] was a chef and so he knew how to prepare it osso bucco style and used a really nice wine I had brought. It smelled great. It didn't taste bad. I wouldn't do it again. I don't have any regrets I did this. She said that after birth, she had all sorts of ups and downs, baby blues and stuff like that. Somebody turned her onto this and she tried and it she said she felt a lot better. She readily acknowledged that it was probably a placebo effect. Which is a real thing. Would you eat another human – not a placenta? Not because of overcrowding, predation, competition or hunger. Just ... because? No. If I was put into a life or death situation like the guys who got stranded in the Andes, or in a besieged city with no alternatives, then I can't say that I wouldn't consume human flesh. Would I do it again, just for kicks? Why would I? There's no need for that. Not unless it really came down to a real horror situation where there was nothing else to eat. I try not to think about that as a possibility.